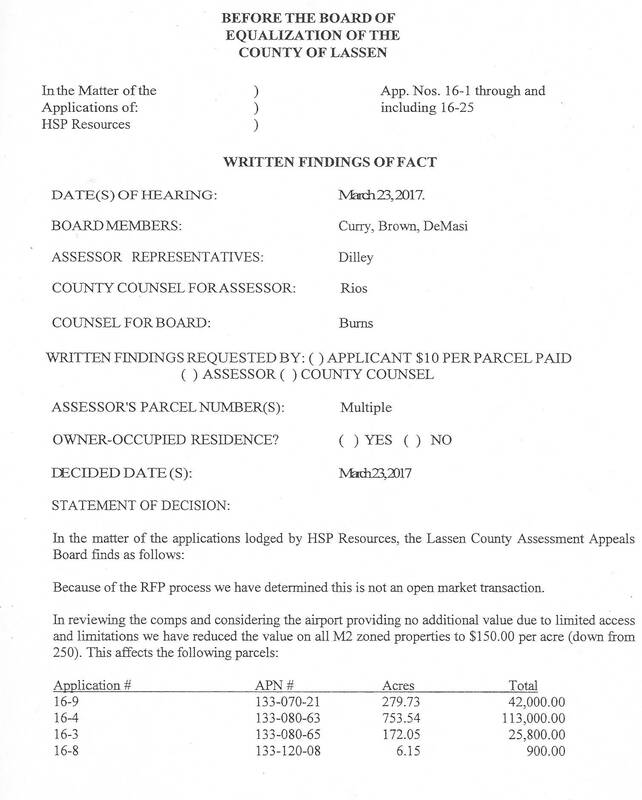 HSP's Amedee Parcel Taxes reduced due to the "unavailability" of the Army's Amedee Airfield in Herlong. HSP had 3 secret meetings with Supervisor Hammond and the Base Commander and his staff who told HSP that they would let HSP use the Army's Airfield. 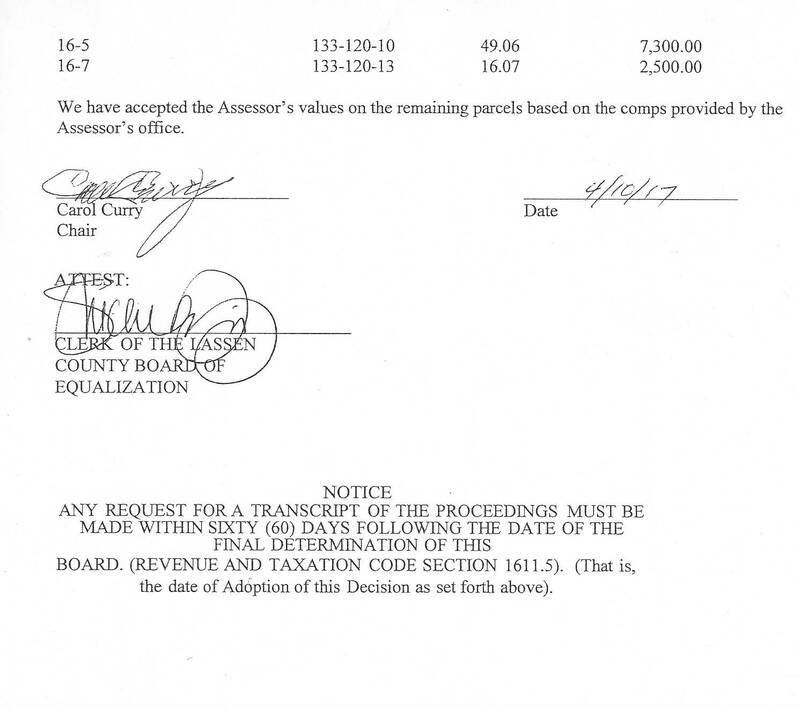 HSP included their assumption when they submitted their response to Lassen County's RFP.